Moving is listed as one of the top three most stressful life events. As one of the largest financial transactions in life, it can be hard to remove the emotion from the transaction. Neuroscientists have determined that emotions such as love, vanity, and pride can play a central role in this entire process. The way we feel can help determine what decisions we make and why. Part of the role of a Realtor is to help your clients navigate the big emotions that come along with buying or selling, whether it be love or hate. While emotions will always play a part, rational decisions must also factor in. Realtors work hard to balance both the emotional and rational thought processes. We know that when making rational decisions, we often consider things like profit, security, and health. Rational purchases require extensive research based on concrete information like property dimensions, home inspections, and pre-qualification that can help to manage and mitigate emotional responses. 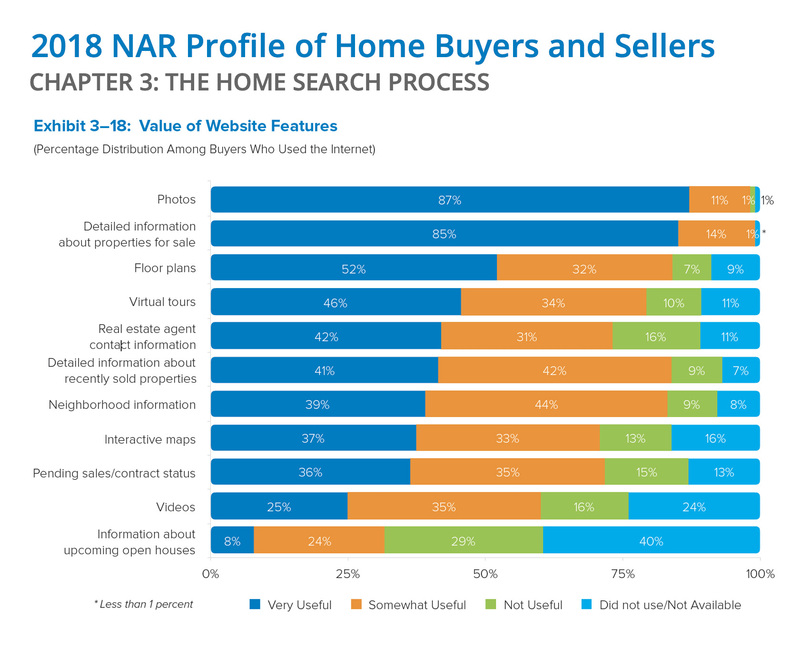 In 2018, NAR did a survey of homebuyers and sellers to determine which features they found most helpful when doing real estate research. This survey gives us insight into the areas where emotion and rationale meet. Further, it gives insight into the tools that may help your clients focus on the rational side of the transaction. Photos continue to be the most useful and requested items during a home search. The importance of quality, professional photos can’t be understated. Often these will be the buyer’s true first impression and determine whether they will request an in-person showing. While photos can evoke emotion, they can also assist buyers with quickly eliminating spaces that don’t work for them. One of the most underutilized real estate marketing features of all, properties with floor plans, see an increase in click-throughs by 52%. They’re a true differentiator in the industry and make your listings stand out from the crowd by supplying new and interesting information in an easily understandable format. 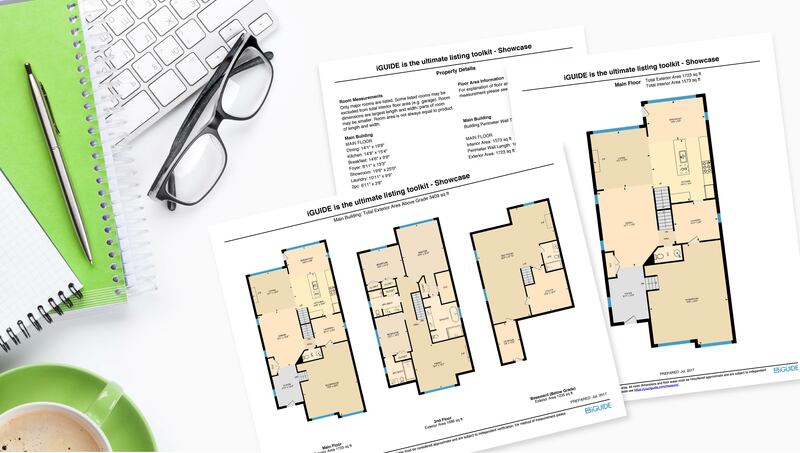 When a floor plan is included in a listing, it helps potential buyers to better visualize the layout of the house, especially if it is interactive. While floor plans are the best tool for emotionally moving into the home before ever buying it, they provide a very real and rational value – room dimensions. Room dimensions and overall square footage should be considered in terms of comparing recently sold prices in the market, as well as current comparable listings. Coming in fourth on the list are virtual tours. While 3D virtual tours are often produced to create an emotional response, they also allow a buyer to judge the utility of the space for their needs. It’s not just about how the room looks, it’s about how usable the rooms really are. Being able to virtually look out a window, stand in a doorway, or walk down a hallway personalizes the experience in a way that is both emotional and rational. As humans, emotion will always play a role in major purchases. But with the right tools, data, and expertise, you can help your clients base their biggest financial decisions rationally and confidently as well.